Gratitude meditation is a type of meditation which, as the name suggests, focuses on gratitude. This article will define gratitude meditation, discuss some of its benefits, and relate it to mindfulness. It also includes a few guided gratitude meditations, so you can start your practice today. What are the Benefits of Gratitude Meditation? How Are Gratitude And Mindfulness Related? These examples show that gratitude meditation is neither new nor restricted to one spiritual or religious movement. Some gratitude meditation practices also include keeping a gratitude journal. This is simply a journal where you write down things you are grateful for, or even where you write letters to people you are grateful for. Gratitude journals are not a necessary part of a gratitude meditation practice, but they are an easy way to stay grateful throughout the day without losing sight of what is important. Now that we have established that gratitude meditation is how some Buddhist monks and Native American elders begin their days and ceremonies (as mentioned above), you might be interested in starting your day in a similar manner. So what are the benefits of gratitude meditation? Well, there is a lot of overlap between the benefits of gratitude meditation and the benefits of general feelings of gratitude itself. For example, one study (Rao, 2016: Online Training in Specific Meditation Practices Improves Gratitude, Well-Being, Self-Compassion, and Confidence in Providing Compassionate Care Among Health Professionals) found that gratitude meditation can reliably increase feelings of gratitude. This might seem like a silly or obvious finding, but it is important to verify that gratitude meditation leads to increased feelings of gratitude rather than just assume it does because it seems like a given. This study is also interesting because participants were briefly trained in gratitude meditation online, practiced gratitude meditation just one time, and then immediately saw results. While many of us understand the importance of gratitude, that does not necessarily mean we practice feeling gratitude as often as we should. 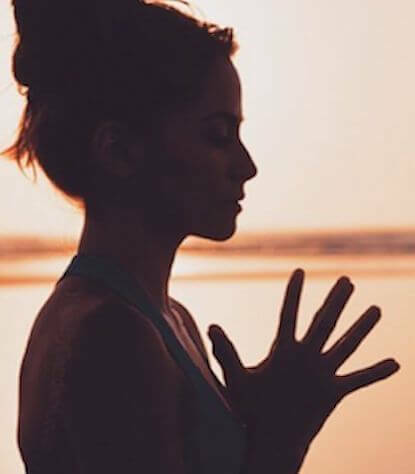 This finding that practicing gratitude meditation just once can instantly increase our feelings of gratitude and lead us to all of gratitude’s benefits is an exciting one. On top of that, all of these benefits were found with relatively brief gratitude interventions, meaning that even practicing gratitude for a short amount of time can lead to higher levels of well-being. Gratitude can also be a protective factor in certain situations. For example, gratitude has been shown to lead to positive outcomes following traumatic events such as campus shootings (Vieselmeyer, 2017: The Role of Resilience and Gratitude in Posttraumatic Stress and Growth Following a Campus Shooting) or destructive earthquakes (Lies, 2014: Gratitude and personal functioning among earthquake survivors in Indonesia), as well as following negative life experiences such as substance misuse (Chen, 2017: Does gratitude promote recovery from substance misuse?). In fact, one study looking at African-American adolescents (Ma, 2013: Gratitude is associated with greater levels of protective factors and lower levels of risks in African American adolescents) even found that gratitude was a protective factor that was associated with several different aspects of adolescence, such as higher levels of academic interest, engagement, and performance. That same study also found that higher levels of gratitude led to lower levels of drug use and early-adolescent sexual behavior. Two other studies – Kleiman, 2013: Grateful individuals are not suicidal: Buffering risks associated with hopelessness and depressive symptoms – and – Stockton, 2016: How does gratitude affect the relationship between positive humor styles and suicide-related outcomes? 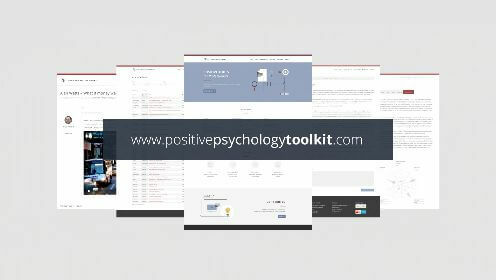 – show that high levels of gratitude have even been associated with lower levels of suicidal ideation in some cases. This shows the importance of having high baseline levels of gratitude in general along with the potential value of gratitude interventions. 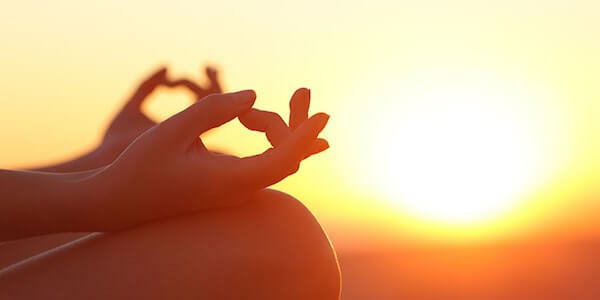 As for the benefits of gratitude meditation specifically, one study (O’Leary, 2015: The Effects of Two Novel Gratitude and Mindfulness Interventions on Well-Being) found that practicing gratitude meditation four times a week for three weeks (along with keeping a gratitude diary) led to reduced levels of stress and depression, as well as increased lev els of happiness. Anybody can incorporate this intervention into their lives with minimal cost and effort, making that finding extremely promising. This specific intervention’s schedule of four times a week for three weeks could also easily be incorporated in schools, prisons, and other situations. These findings taken together indicate that starting a gratitude meditation practice yields near-immediate benefits that lead to increased levels of well-being. Having a gratitude meditation practice will also increase your levels of gratitude, which can serve as a protective factor in the face of certain traumatic events, as well as a protective factor against risky behaviors. On top of that, the Rao & Kemper (2016) study shows that teaching people gratitude meditation can be done very quickly and that it can be done online. This means that just about anyone in the world can quickly learn about gratitude and gratitude meditation and start using it to their own benefit. Now that you know what gratitude meditation is and some of the benefits it can lead to, you probably want to try it. Here are a few guided gratitude meditation videos to get your practice started. One of these is a quick, short introduction to gratitude meditation, one is a bit longer, and one is only for people who are ready to commit to a long video. This is a very short (shorter than seven minutes) guided meditation from Deepak Chopra, focusing on gratitude. Chopra also focuses on forgiveness in this session. Its length makes it an excellent choice for beginners, as it should be easy to find some time to fit this guided meditation into. This is a slightly longer but still short (coming in at just over 10 minutes) guided video which will walk you through a gratitude meditation session. Even absolute beginners can enjoy this video, as the speaker will guide you through every aspect of the meditation. If you really like it, the video can be downloaded from a link in the details section of the video. Finally, this is a guided gratitude meditation which is just about half an hour long. It is a good choice for anyone looking for a long gratitude meditation session they can be guided through. While it is longer, it is still guided, so anybody who wants to try it is welcome, even beginners. If you are familiar with mindfulness and mindfulness meditation, you might be noticing some similarities between mindfulness and gratitude at this point. So what is the relationship between gratitude and mindfulness? There is clearly some sort of relationship between mindful awareness and feeling grateful for things in your life. One recent paper (Rosenzweig: The sisters of mindfulness) even went so far as to call gratitude a “sister” of mindfulness (2013). This article was actually an introductory article for that issue of the Journal for Clinical Psychology which was focusing on these “sisters of mindfulness” and included the article ‘Gratitude as a Psychotherapeutic Intervention’ by leading gratitude researcher Robert Emmons. In the piece, Rosenzweig suggests that gratitude is one of a few “sisters” of mindfulness because it is a core tenet of Buddhism, and highlights the fact that the Dalai Lama was even able to show gratitude towards the Chinese who were occupying his nation. How exactly are gratitude and mindfulness related to each other, though? One study (O’Leary, 2015: The Effects of Two Novel Gratitude and Mindfulness Interventions on Well-Being) comparing gratitude interventions and mindfulness interventions found that they both led to similar outcomes, particularly when it comes to well-being. That is, gratitude interventions and mindfulness interventions both similarly lead to increased levels of well-being. Gratitude and mindfulness are related in other ways as well. For example, according to a study focusing on pregnant women (O’Leary, 2016: Positive prenatal well-being: conceptualizing and measuring mindfulness and gratitude in pregnancy), mindfulness and gratitude were both found to be positively correlated with levels of positive affect. Another study (Loo, 2014: Gratitude, Hope, Mindfulness and Personal-Growth Initiative: Buffers or Risk Factors for Problem Gambling?) found that both gratitude and mindfulness were negatively correlated with future instances of problem gambling in young men. In the pregnancy study, however, gratitude and mindfulness had different effects on negative affect, while the gambling study showed that gratitude and mindfulness had different effects on gambling urges in young men. These findings indicate that gratitude and mindfulness are closely related, but not identical in every way. It seems that gratitude and mindfulness have generally similar effects on well-being, but do not affect well-being in exactly the same way. As mentioned near the beginning of this article, gratitude is an important aspect of Buddhist and Native American culture. According to one paper (Emmons, 2000: Gratitude as a human strength: Appraising the evidence), gratitude is also an important aspect of some different religious movements. Another paper (Trousellard, 2014: The history of Mindfulness put to the test of current scientific data: Unresolved questions) notes that like gratitude, mindfulness is also an important aspect of many of these same religious and spiritual movements. This shared importance shows the cultural significance of both gratitude and mindfulness. Taken together, the above points indicate that gratitude and mindfulness serve similarly important roles in society, and recent research suggests that they have similar effects on individuals. Again, gratitude and mindfulness are not interchangeable, but they are two closely related aspects of human psychology. Any gratitude practice should include mindfulness, and any mindfulness practice can easily incorporate gratitude. Calling gratitude a “sister” of mindfulness as Rosenzweig (2013) did seem to be justifiable. At its most basic, gratitude meditation is all about taking time to reflect on the blessings in your life, as well as the things which do not necessarily seem good but are still a part of who you are. Gratitude meditation sessions can range in length from very short to around a half hour (and longer indeed), as the included guided videos show. Gratitude meditation has several benefits, many of which overlap with the benefits of gratitude in general, such as increased levels of well-being. While gratitude interventions have been proven effective in many different situations within a wide range of populations, having higher baseline levels of gratitude is also beneficial, so it is never too early to start practicing gratitude in your own life. Finally, gratitude and mindfulness are two key aspects of human life (and have been for a long time) that complement each other nicely. If you are currently practicing one but not the other, it should be easy and beneficial for you to start incorporating both in your meditation practice. We hope that this article helped you understand gratitude more, as well as why it is a good idea to start a gratitude meditation practice. After all, research shows that even a single gratitude meditation session can start improving your life immediately (Rao & Kemper, 2016). Practicing gratitude meditation every morning helps my attitude in the classroom. Just finished my first gratitude meditation session. I feel as if I am truly on a path that will provide great rewards for me over time as I search for joy, peace, and new meaning for me as I proceed in life. Thank you for your article on this subject of gratitude and mindfulness and how they (together) contribute to increased levels of well-being. I’m new to meditation, but I’ve been interested in being a part of the meditation family for quite some time. So again, thank you and others who participated in writing these articles and blogs. Thank you for all of your light, inspirational, thoughtful posts and contributions. Your blog post has been very valuable in my life, here Third eye meditation helps you in being a part of the anxieties and stress without breaking down and have the overall strength to overcome. Our small contribution to making the world a little better place to live in, is by helping people adjust to a more positive way of thinking. Writing at least three positive moments every day makes you look more positive at your day. After a month of journaling, you’ll find yourself looking for those moments to write cherish. It becomes your way of thinking! To make sure you won’t forget to log your moments, a built-in alarm will remind you at your preferred daily schedule. Programmed (Gal), designed (Or) and managed (Avi) by the Oron family, based in Israel, where daily stress can be only overcome by positive thinking and constantly looking through pink glasses.